I made this Pineapple Upside Down cake for our Sunday family dinner. My stepbrother’s fiance’s mom was in town from Austria and she is gluten-free. So I whipped out my Babycakes Covers the Classics Cookbook and baked up this cinnamony and warm cake. Since I did not want to spend a fortune on xanthum gum, I used ground flax seed. While that worked for the mini donuts we recently made (because they were small), it didn’t work as well work this full-sized cake. 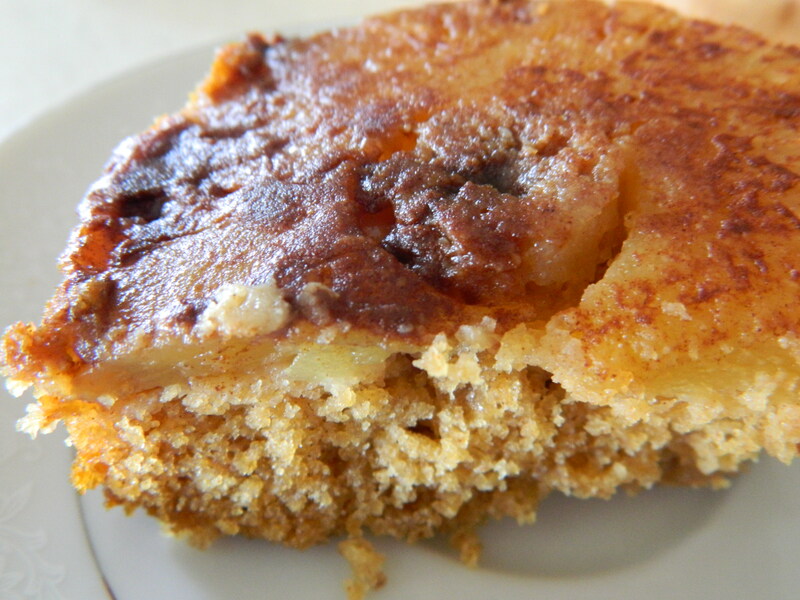 Even though it was more crumbly than I cared for, the taste was the best of any pineapple upside down cake that I’ve ever had! Baking gluten-free foods does require extra ingredients, but I love that it adds a variety of flours and tastes to our diets. Preheat the oven to 325°F. Line a 9-inch cake round with parchment paper and lightly coat with coconut oil. In a small bowl, whisk together the sugar and the 2 teaspoons cinnamon. Sprinkle the bottom of the cake pan with the cinnamon-sugar mix. Arrange the pineapple slices over it. Set aside. In a medium bowl, whisk together the flours, potato starch, arrowroot, cinnamon, ginger, baking powder, salt, xanthan gum, cardamom, and baking soda. Add the agave nectar, the ½ cup coconut oil, the applesauce, vanilla, and hot water. Stir with a rubber spatula until the batter is smooth. 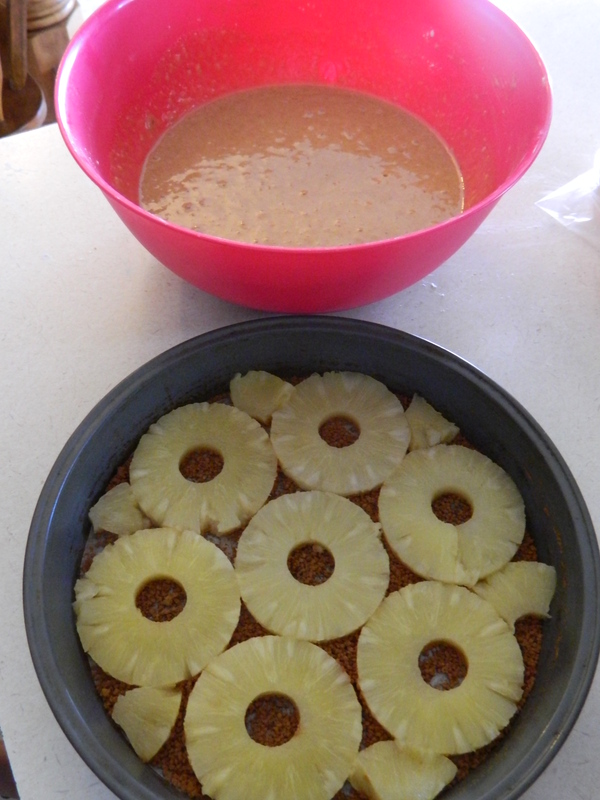 Pour the batter over the pineapple. Bake for 20 minutes, rotate, then continue baking until a toothpick inserted into the center comes out clean, about 20 minutes more. Let cool in the pan on a rack for 30 minutes. Run a knife along the pan’s edge and invert onto a serving plate.